As part of my post-Christmas, January reboot, I like to re-establish some of my healthy habits – eating well, exercising, and getting plenty of sleep, something which isn’t always easy once you factor in kids, pets, snoring partners, busy jobs, and if you’re lucky enough, jet-lag. The health benefits of a good night’s sleep are enormous, and it is generally accepted that 7 or 8 hours a night is the optimal amount, although many of us are surviving on much less. Sleep well and your brainpower increases, energy levels rise, cells repair themselves, hormones rebalance, and your immune system strengthens. It can even help you to lose weight, as people who don’t get enough sleep tend to overeat in a subconcious attempt to gain more energy. Sleep is clearly vital to our well-being. 1. Wind down your mind. At least an hour before you want to go to sleep, start to establish some pre-bedtime rituals. Turn off TV’s, phones, ipads – the lights from those will stimulate your senses. Read a book, preferably the old-school paper variety. Here are a few books I’ve read (and loved) recently, to get your reading juices flowing. Have a warm bath. Add some Epsom salts and essential oils, such as lavender, and relax. The rise in body temperature, and the subsequent drop when you get out of the bath, helps to make you sleepy. Make sure the temperature in your bedroom isn’t too high – around 17°C is about right. You may like to try Jo’s recipe for Lavender & Coconut Bath Salt – it’s easy to make and has a soothing scent to help you relax. You may be in your January no-drinking phase, but if not, be aware that alcohol badly affects the rhythm of your sleep, especially the remedial deep kind. It may help you to fall asleep quickly, but after a few short hours, you’re more than likely to wake up again, so avoid it if you’re after a good night’s sleep. 4. Reduce your caffeine intake during the day. This may be hard if you’re feeling tired, but make sure it’s got enough time to leave your system before bed. I avoid it after 3pm (my bedtime is around 11pm.) 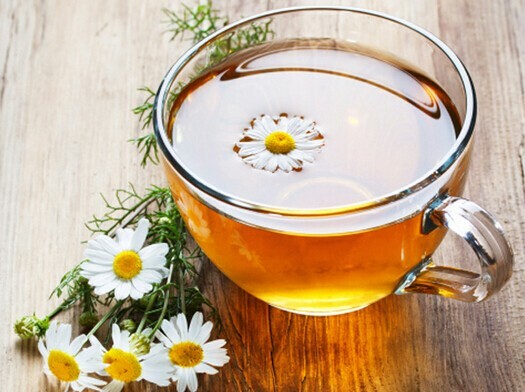 Have a camomile tea before bed to ease you into sleep, and if that doesn’t appeal, insomniacs may want to try cherries or cherry juice which is believed to help you nod off too. 5. It’s not a myth that eating cheese before bed makes you dream. A bowl made with skimmed milk, containing calcium which relieves stress and soothes nerves, and tryptophan, a magic ingredient which triggers the production of relaxing hormone, seratonin. Add fruit such as a banana, containing magnesium and potassium helping muscles to relax, and yet more tryptophan. Throw in some almonds for an extra hit of magnesium, and a bit of protein to stabilize your blood sugar. Miso soup. Pour hot water onto an instant packet of miso soup, and you’ll get a bowl of steaming loveliness containing an amino acid that induces the production of melatonin, a natural hormone that helps regulate sleep. A hard-boiled egg is something to try if you’re prone to waking up during the night. It could be that your blood sugar levels need stabilizing by the addition of some protein and eating this may help you stay asleep. Anything vigorous should happen earlier in the day, but anything regular, such as a daily walk, will help you to sleep better. There are certain restorative yoga practices you can do at bedtime to help you relax into sleep. If you’re still tossing and turning, thinking about everything you’ve got to do the next day, write all your worries down, put them to one side, and forget about them until tomorrow. If this is something that happens every night, think about starting a journal, and increasing your wind-down time. Additionally, a meditation practise will help calm your racing mind. You may like to try Jo’s Top Apps for Inner Calm, or Kat’s 5 Tips for Mindfulness. Hopefully these things will help you make the most of your sleep. If you do wake in the night, and have trouble getting back to sleep after 10 or 20 minutes, resist the urge to switch on your technology, and reach for your book instead, maybe with a cup of camomile tea at your side, and hopefully, before long, you’ll be back in the lovely Land of Nod.